Whitley Strieber is perhaps best known for his book for Communion, a non-fiction account of his alleged experiences with non-human entities. 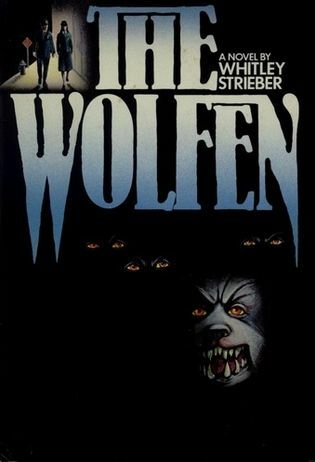 However, his is also a writer of horror fiction, with The Wolfen being his first published novel (1978). When two New York Police Department uniformed officer are violently killed, detectives Becky Neff and George Wilson are tasked with investigating the incident and bringing the perpetrator/s to justice. The evidence reveals the two uniformed officers were quickly and brutally attacked by some kind of animal – so rapidly, in fact, neither were able to fire their service handguns – one even had his hand and gun ripped from his arm before having time to open fire on his attacker. Worse, both men were disembowelled, their organs devoured. Gathering the evidence from the crime scene, Neff and Wilson start their investigation by trying to understand what kind of animal might have left the bloody paw prints around the bodies. This leads them down a path that touches on the issue of police corruption which involves Neff’s policeman husband is taking money from certain groups. As more bodies are discovered, Neff and Wilson are drawn into a world where the natural meets the supernatural: the forgotten parts of New York where the abandoned of the city live – and are preyed upon by the Wolfen. Join Gyro Muggins as he takes us inside Neff and Wilson’s investigations. Blair MacAlister is an expert at Judo, a credible AI hacker, and a certified pilot of craft atmospheric and interstellar. Her favourite weapon is sarcasm, or failing that, her ever-present blaster. 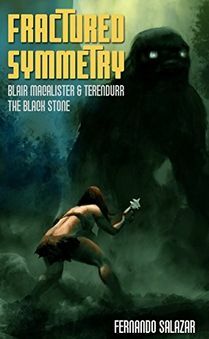 Her boss is Terendurr the Black Stone: technical wizard, expert in the ethnography of myriad races, fancier of rare foods and wines, and even rarer fractalites. An Entharion Quadromorph, exiled from his homeworld and under constant threat of assassination, he is also somewhat irritable. Together they investigate mysteries based on science, in a setting that brings them into contact with all the main races of Civspace: The mysterious Junn, the affable but biologically intense Raylics, the chaotic and powerful Oro-Ka, the commercial minded Keret, and the cynical Phair. At the centre of their cases are transformative genetic therapies, unlikely fossils, the linked neurology of symbiotes, and more. Terendurr is over 300 years old and has seen and endured the worst and strangest the galaxy has to offer. Will Blair prove as durable as her boss? Join Corwyn Allen as he reads selections from Fernando Salazar’s 2017 novel. With Shandon Loring. Also presented in Kitely (hop://grid.kitely.com:8002/Seanchai/144/129/29). The featured charity for January / February 2018 is Reach Out and Read, giving young children a foundation for success by incorporating books into paediatric care and encouraging families to read aloud together.